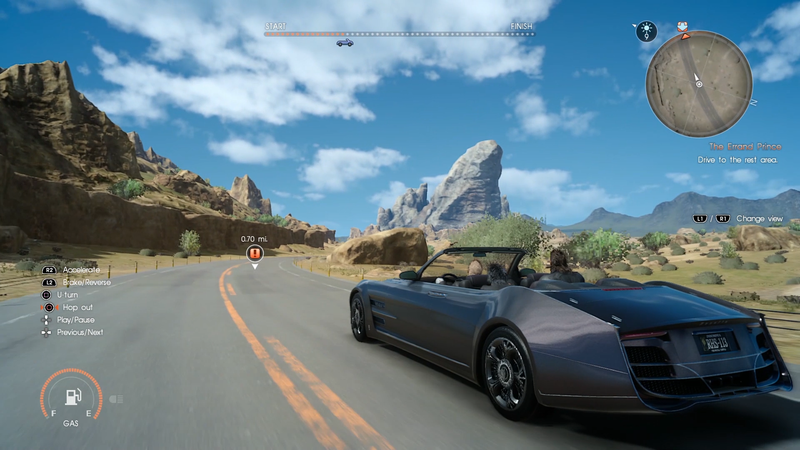 I love Final Fantasy XV. The game got a stellar review from me toward the end of last year, and I included it at the #2 spot on my list of 2016’s very best RPGs. Even still, I couldn’t help but be surprised by how giddy I became when I first started up the Episode Gladiolus DLC during my PAX East preview. I credit that excitement to two things: one, how unbelievably cool it feels to be getting even more of a game I already played and enjoyed for well over 100 hours; and two, just how different and refreshing Gladio feels as a playable character. I know the campaign isn’t supposed to be that long, at least in terms of completing its miniature story arc, but the exhilaration of controlling a new character within the already-excellent combat system almost made me feel like I was playing a full sequel. 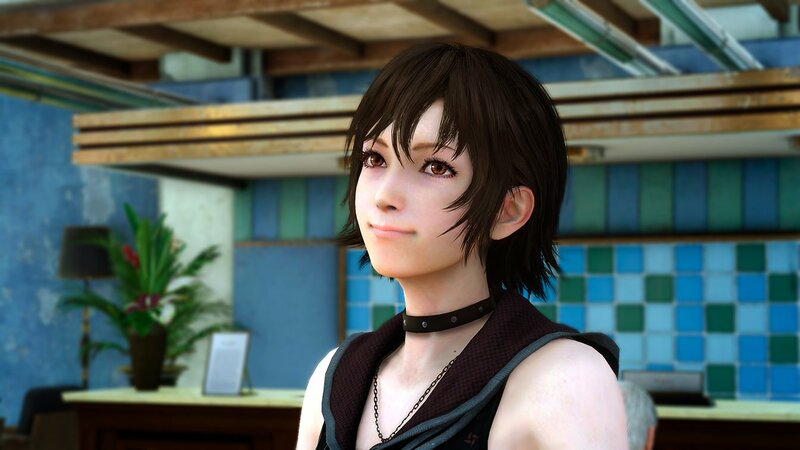 Only being able to control Noctis, the protagonist at the heart of the main game, is one of Final Fantasy XV‘s slightly more disappointing quirks. While he’s fun enough to play, of course (I wouldn’t have given the game such a glowing recommendation otherwise! ), one of the most appealing aspects of other entries in the series has been growing and developing a varied roster of characters to play as — even if that just meant selecting their commands from a list). Episode Gladiolus, while limiting play of the big brawler to its relatively small campaign, offers an absolutely tantalizing taste of how a further expanded XV, or (dare I say it) a full-on XV-2 might feel. Since the Luminous Engine is already fully-built and fantastic, suffice it to say I’m completely on board with not waiting another 10 years for the next Final Fantasy game. Compared to Noct’s style, which emphasizes his signature abilities to warp and switch between weapons on the fly, Gladio is a bit more limited in his options — but, for my money, no less compelling. 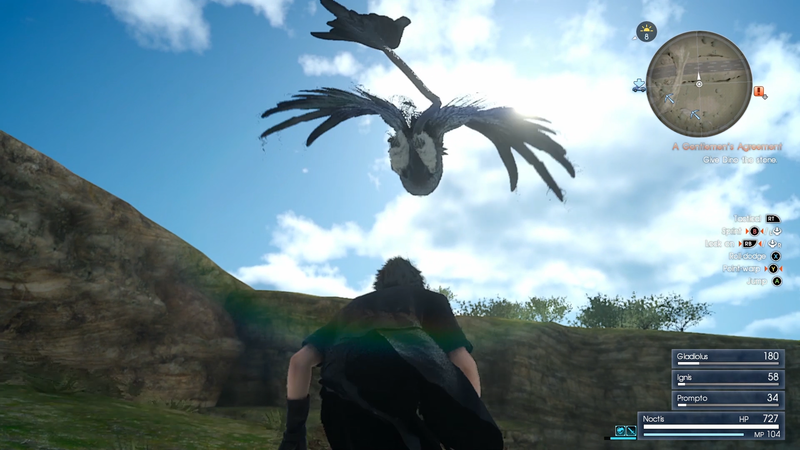 With a lot more upper body strength than his scrawny princely counterpart, Gladio is able to swing his two-handed sword a lot more quickly and forcefully than Noct, with the trade-off that he’s a bit more stiff in his movements. 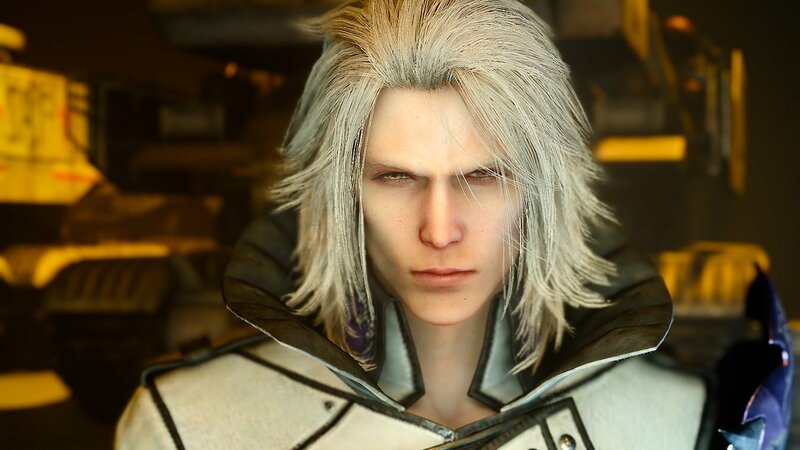 His form of defense is rather similar — you simply hold a button and he’ll knock back opponents’ moves with his shield as long as he has MP remaining — but it felt a little more reliable than the auto-evading of the main Final Fantasy XV campaign to me. There’s also the option to pull pillars out of the ground and weaponize them, which is a pretty oddly-specific power, but I certainly couldn’t complain once I saw how much damage the pillars did to armored enemies. 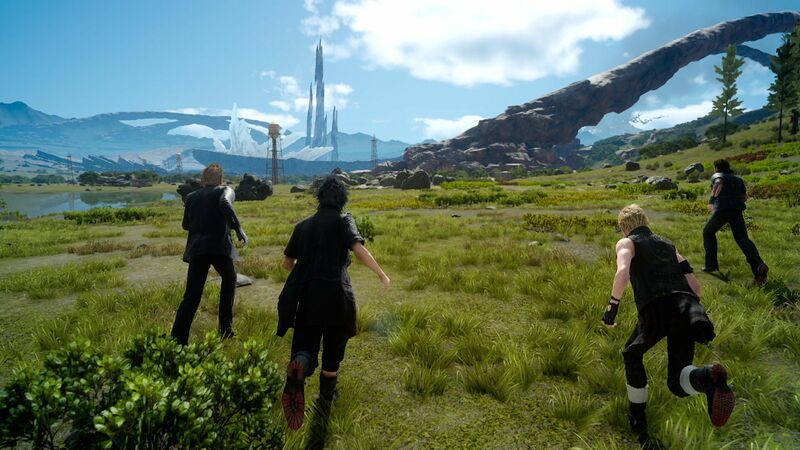 The little taste we get of Episode Gladiolus‘ story lets us know that this is going to be a much more quiet, determined adventure, but I touted Final Fantasy XV‘s characters as one of the best reasons to experience the game, and getting to spend any more time with any of them feels like a huge treat. I also can’t deny how great it is to see Cor Leonis — gamely voiced by Matthew Mercer — getting a lot more screen time after the second half of XV‘s campaign seemed to forget about him entirely. As a guest character, he’s about the same as any of the CPU-controlled allies we’ve seen before (in that, let’s be honest, you’re handling most of the combat yourself), but he’s still a very cool personality that deserves a bit more fleshing out. 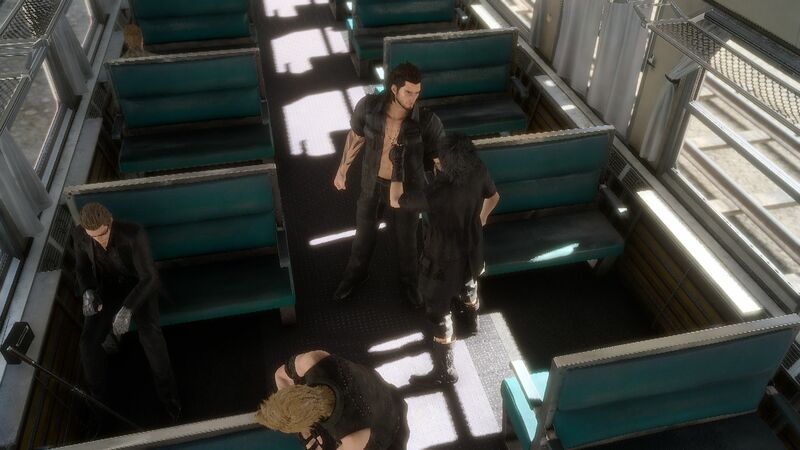 Whether or not we’ll get any more insights into Gladio himself as a character isn’t known at this point — and to be fair, he does seem to be more of the “kill first, ask questions later” kind of gruff-macho-type — but again, I’m satisfied with just being able to spend more time with one of the “bros.” Oh yeah, and did I mention Gilgamesh is here, too, and he looks badass? So yeah, that’s a thing. As if being able to play a whole new character doesn’t make this episode feel fresh enough, there’s also the fact that the soundtrack changes directions entirely. Whereas Yoko Shimomura’s incredible score for the main campaign emphasized highly operatic compositions for a full symphony, complete with all the Latin-lyric melodrama you could ever want in a Final Fantasy game, Episode Gladiolus brings things in a bit — while being no less in-your-face — with a series of chugging guitar-driven numbers. The fact that they went out of their way to change the battle themes for a different character when they already had about 15 in the main story feels like a really nice touch, and the fact that Nier: Automata composer Keiichi Okabe is behind some of these songs should be just about enough to make JRPG fans swoon on the spot. If there’s anything that disappoints me about the upcoming Episode Gladiolus, it’s that it sounds a bit short as far as running time. Not that two or three hours of gameplay is terrible for a DLC expansion by any stretch of the imagination, but when I had as much fun as I did during the first 30 minutes… well, let’s just say I hope there’s some sort of optional way to extend the running time, because I don’t think I’ll ever quite be able to get enough of controlling Final Fantasy XV‘s big, burly brawler. This first episode of new story content for one of last year’s best RPGs launches on March 28, and if it’s any indication of how much fun Episode Ignis and Episode Prompto are going to be, Season Pass holders are in for a real treat.